Pre-defined workflows within a comprehensive, user-friendly platform that guides users through their workflow. Allow multiple users to collaborate on day-to-day grade control tasks, eliminating potential doubling up of tasks. Defined and standardised work flows guarantee that grade control procedures are carried out in the same way regardless of the user. 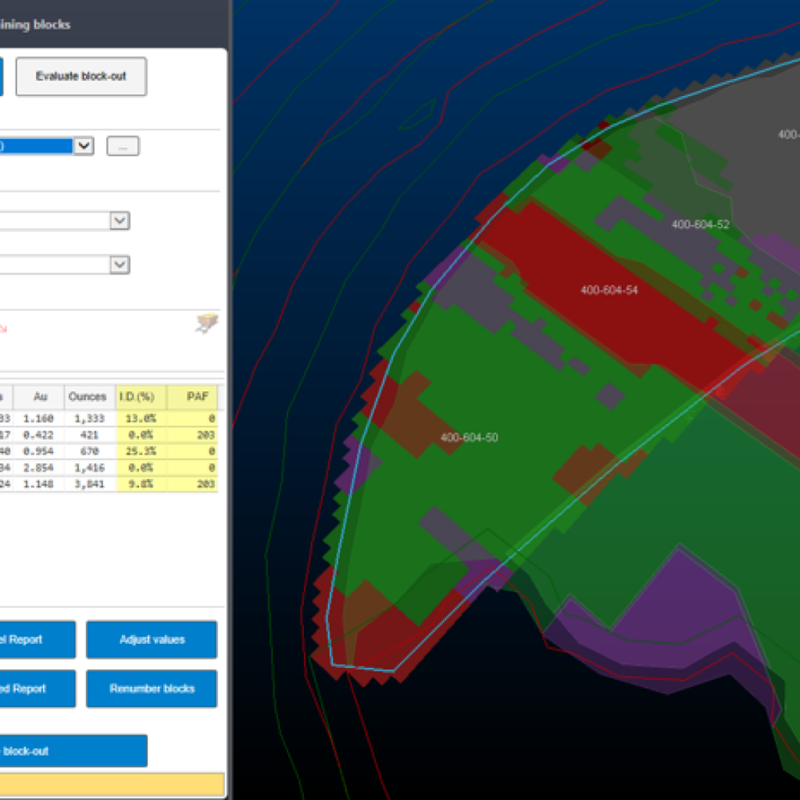 With proven connectivity to any database, Ore Controller makes designing and managing patterns and sampling straightforward; reliable sample planning and management is fundamental to producing reliable models and estimates. 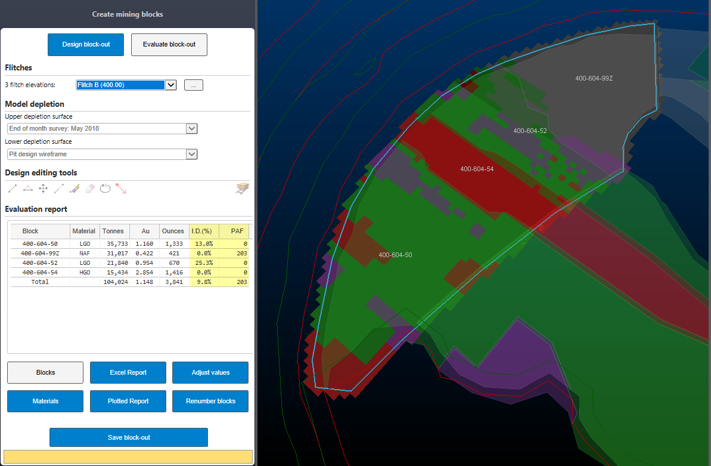 Proximity checking when planning grade control holes is part of many operational Ore Controller systems. It’s fast and flexible and doesn’t rely on the operator to necessarily understand the detailed rules being used on each site. 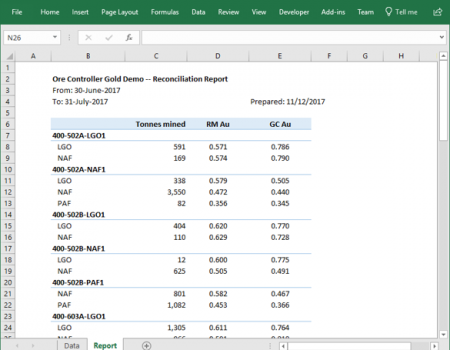 Ore Controller produces high quality reports at each stage, including samples sheets when planning RC holes. 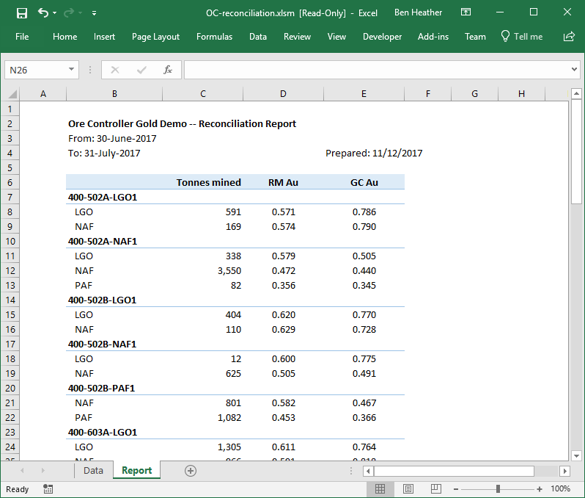 All reports can be easily customised to individual requirements, quickly uploaded to any database system, print to any printer, save as PDF or open up in a web browser. As you would expect from Datamine the geological modelling capability for each blast is second to none. 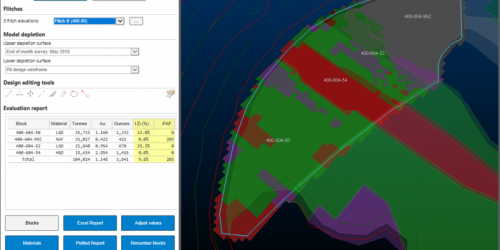 Having reliable models is the key to saving money by reducing ore loss and dilution. The building of models, although using sophisticated techniques, can be made to be procedural. 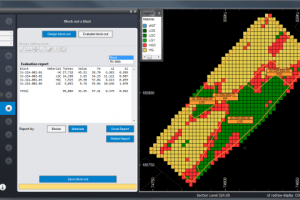 Operations can choose how much input or analysis they expect from their grade control geologists or technicians and the system configured accordingly. 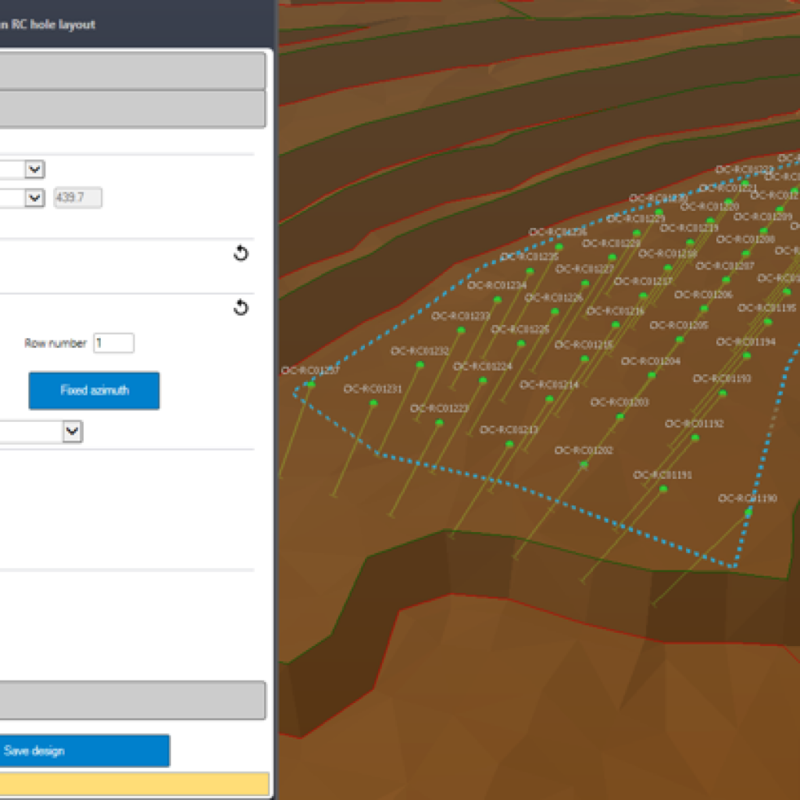 Ore Controller can model and report on dilution from multiple causes. Internal dilution caused by waste blocks that are internal to ore and are too small to mine and process separately because their size is less than the Selectable Mining Unit. Contact dilution caused by waste blocks that are adjacent to ore and cannot be mined and processed separately. Reasons maybe because their size is less than the Selectable Mining Unit or the direction of mining doesn’t operationally allow for the separate extraction. 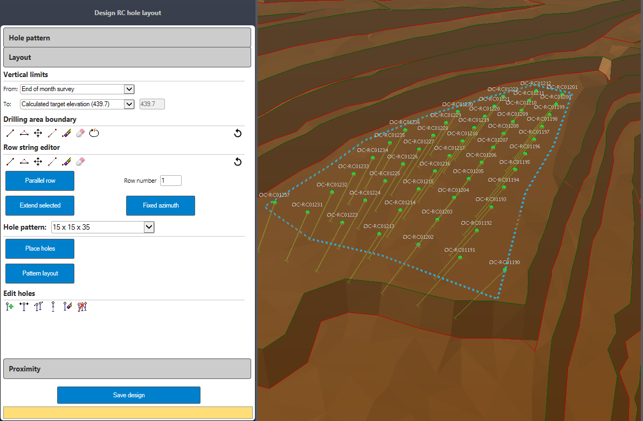 Ore Controller allows you to define rules for ore loss and dilution so that these can be specifically reported for each blast. This allows dig lines to be re-evaluated or at least for more accurate predictions of blast value. Grade control and resource model predictions need to be validated against each other. 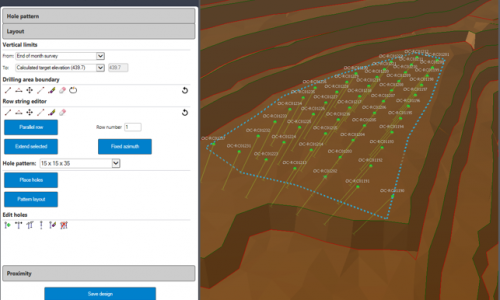 Ore Controller provides a comparison between models within the same volume mined between any two dates. 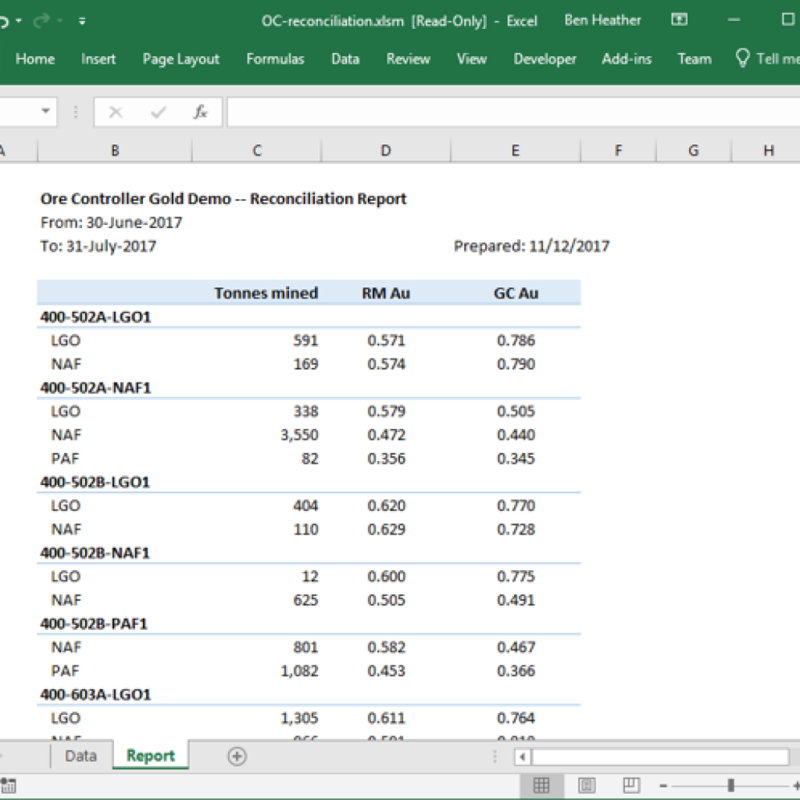 Results are typically tabulated in Microsoft Excel but may be produced in various forms to fit into an existing mine reporting system. 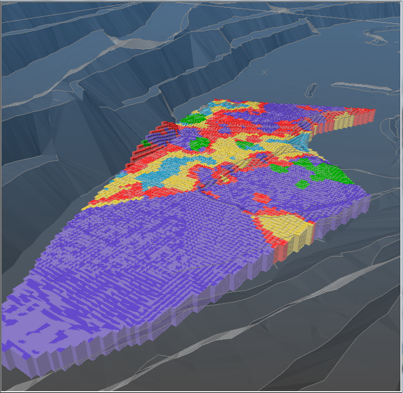 Reconciliation in Ore Controller can be used to reconcile the predictions made from the resource model. Over time, your longer-term estimates of the value that will be achieved based on resource and reserve models can be defined. This will result in greatly improved forecasting.